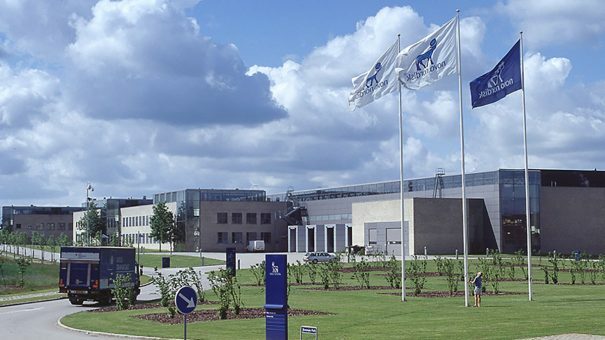 Novo Nordisk has filed its oral formulation of diabetes drug semaglutide in the US, armed with a priority review voucher that could set up an approval in September. The Danish drugmaker is the first to file an orally-active drug in the widely-used GLP-1 agonist class of antidiabetic agents, which will provide an alternative to the current array of injectable drugs, including Novo’s own once-weekly Ozempic formulation of semaglutide. Novo has high hopes for oral semaglutide, as it thinks diabetics will prefer to take a daily pill than inject themselves. That potential encouraged it to fork out on the priority review voucher – which typically cost between $100m and $200m – in order to get to market as quickly as possible. It has clinical trial data showing an advantage over a slew of big-selling oral diabetes drugs when it comes to controlling blood sugar, including Merck & Co’s DPP-4 inhibitor Januvia (sitagliptin), Eli Lilly/Boehringer Ingelheim’s SGLT2 inhibitor Jardiance (empagliflozin), and Novo’s daily injectable GLP-1 agonist Victoza (liraglutide). Novo also claims oral semaglutide is better at helping diabetics reduce their body weight, and has also filed a second application with the FDA seeking a cardiovascular risk reduction claim for the drug in adults with type 2 diabetes, which will have a standard 10-month review timeframe. “Achieving glycaemic control and managing cardiovascular risk remains a challenge for many adults living with type 2 diabetes,” said Mads Krogsgaard Thomsen, Novo’s chief science officer. “We are excited about the regulatory filings of the first GLP-1 receptor agonist in a tablet, as we believe oral semaglutide has the potential to further improve the treatment of adults living with type 2 diabetes,” he added. Novo has a sizeable lead over other companies developing oral GLP-1 agonists, and needs to make the most of that as $3.8 billion blockbuster Victoza is facing the threat of generic competition in the next few years. Last year, Eli Lilly – another big player in the diabetes market – licensed an oral GLP-1 drug called OWL833 from Roche’s Japanese unit Chugai, but that is still in early clinical development. Lilly’s biggest diabetes drug is another once-weekly GLP-1 injectable called Trulicity (dulaglutide), so it has a lot to lose if oral semaglutide proves a hit with patients. It claims OWL833 could have safety advantages over semaglutide as unlike Novo’s drug it is a non-peptide molecule, although that will have to be established in clinical trials. Ozempic is going head-to-head with Trulicity in the market but has a lot of catching up to do. Lilly’s drug was first to market, making its debut in 2014, and racked up $3.2 billion in sales last year – up from around $2 billion in 2017. Ozempic made around $274 million in 2018, its first full year on the market, but is growing fast. Novo has just filed for approval of a cardiovascular risk reduction indication for Ozempic in adults with type 2 diabetes on the strength of the SUSTAIN 6 trial, which was published in 2016 and showed that the drug significantly reduced the risk of the primary composite endpoint of major adverse cardiovascular events by 26% compared to placebo.